It’s been quite some time since a workspace was just a space to work. Think back to boxed in cubicles, grey walls, carpet tiles and real hierarchies surrounding who worked where. Today, almost all businesses realise that a workspace needs to be far more than that. It needs to combine function with inspiration, to provide a space for real productivity that is flexible enough to work around the changing needs of a business. Luckily for start-ups and freelancers – and their numbers continue to grow – the options for workspaces are still increasing. Now, a business or entrepreneur can find an awesome workspace and the flexibility they require, secured on terms that suit their (known or unknown) growth plans. These spaces are high in demand, and for good reason. Today, there’s quite a spectrum of flexible workspace options. At one end of the scale there’s a low commitment use of a shared lounge for hot desking, which might suit an entrepreneur just starting out or a freelancer. A middle option could be a fixed space in a shared area, with one or two desks, or perhaps a dedicated office on a shared floor. At the other end of the scale is the option to take an entire floor in a managed building. All these options exist because the property industry is responding to the modern way of working. Consider the different ways that a start-up or small business team want to use a workspace. Some want to be surrounded by other like-minded businesses, to network and swap skills. Others want their own space where they can create their own culture. We now live in an on-demand society, and we expect the same options with workspaces as we expect in other aspects of our lives. At Kontor, businesses come to us with a wide range of requirements and we help them to navigate the different options available to find an amazing workspace that suits their needs. Start-up workspace is not a cookie-cutter industry – businesses starting out might want desks in a co-working office and progress to take an entire office more quickly than they anticipated. It’s important to make sure you find the right space, but given the flexibility now offered by space operators it’s very easy to move as you grow. Crucially, coworking or managed space providers have also realised that although start-ups want flexibility, they still need a secure and reliable space to house their business. For example, they need fast internet connectivity, secure networks that can’t be hacked and the ability to easily manage their use of the space, perhaps using apps. Operators such as LABS are able to offer these necessities, while still providing the flexibility for businesses and freelancers to move around the space as they grow or evolve. 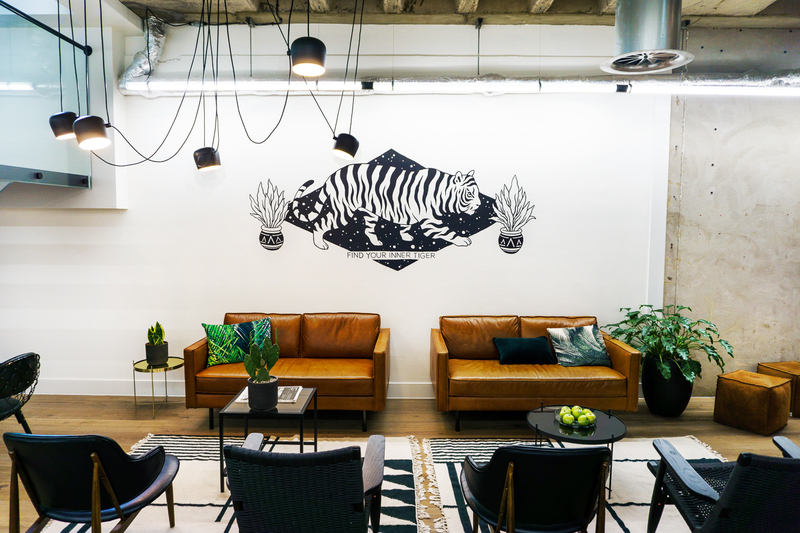 The flexible workspace phenomenon has proved so successful that it’s no longer only entrepreneurs and small business looking to take such space. More established businesses have realised the benefits of short-term solutions, of being surrounded by like-minded creative people who are generating the ideas that will fuel the future. Creativity fuels creativity after all. These spaces are undoubtedly in demand because of all they can bring to a business, besides being a space to plug in a laptop. Room to grow is vital. We live in a particularly uncertain world at the moment; political and economic decisions are changing the business landscape almost daily. But it is also a really exciting time to launch a new idea. The workspace flexibility that is now available means that entrepreneurs can focus on what they should be focused on; growing a business of the future.